Julianne Zweifel, PhD is a Clinical Psychologist and Clinical Assistant Professor in the Department of Obstetrics and Gynecology. She earned her doctoral degree at Bowling Green State University and completed her internship at the University of Wisconsin Hospital and Clinics. Dr. Zweifel is recognized by the National Register of Health Service Providers in Psychology and is a member of the American Society for Reproductive Medicine. Dr. Zweifel’s area of expertise is in working with individuals and couples facing reproductive health issues including infertility, high risk pregnancies, multiple gestation, miscarriage and infant death. 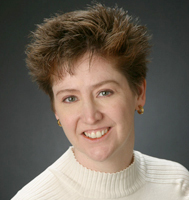 She developed a private practice in the Madison area in 1994, began consulting with the UW Department of Obstetrics and Gynecology in 2003, and joined the UW Department of Obstetrics and Gynecology in 2005. Her research interests include psychological aspects of egg donation, decision making processes for patients in infertility and the role of stress in infertility. She plays a vital role in the care available to patients in reproductive medicine. Dr. Zweifel provides supportive and educational consultations to patients facing complex decisions regarding treatment choices and to patients having anxiety, depression or relationship strain as they pursue their dream of having a child. Patients participating in these consultations can expect to find a supportive environment in which to discuss concerns about the impact of their treatment choices for themselves as well as their hoped for children. Patients can also expect to receive helpful advice on managing the stress and emotions that are often a part of their efforts to have a child.